Accutane and Aczone are just a couple treatments that have been clearing complexions for years. And while these products have proven beneficial for some, others have yet to find success with prescription acne formulas. Cue vitamins for acne, the natural treatment options for those looking to banish blemishes sans traditional medicine. Vitamins A, E, and B3, as well as zinc, have been proven to fight acne, says Marisa Garshick, MD, FAAD, at Manhattan Dermatology and Cosmetic Surgery. 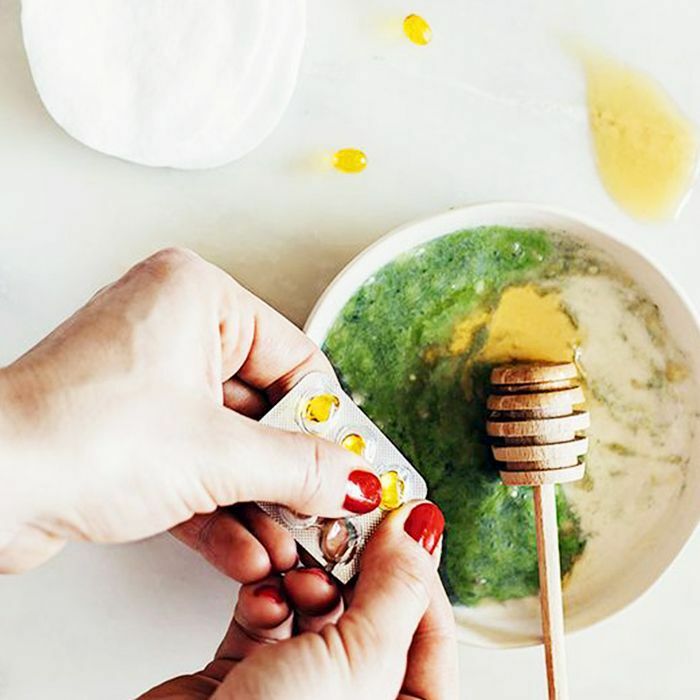 These natural alternatives may tend to take longer than prescription drugs to clear blemishes (it can take up to two months to see a difference), but they are less likely to cause an adverse reaction. However, Garshick notes that side effects from vitamins are very real, especially if the dosage is incorrect. 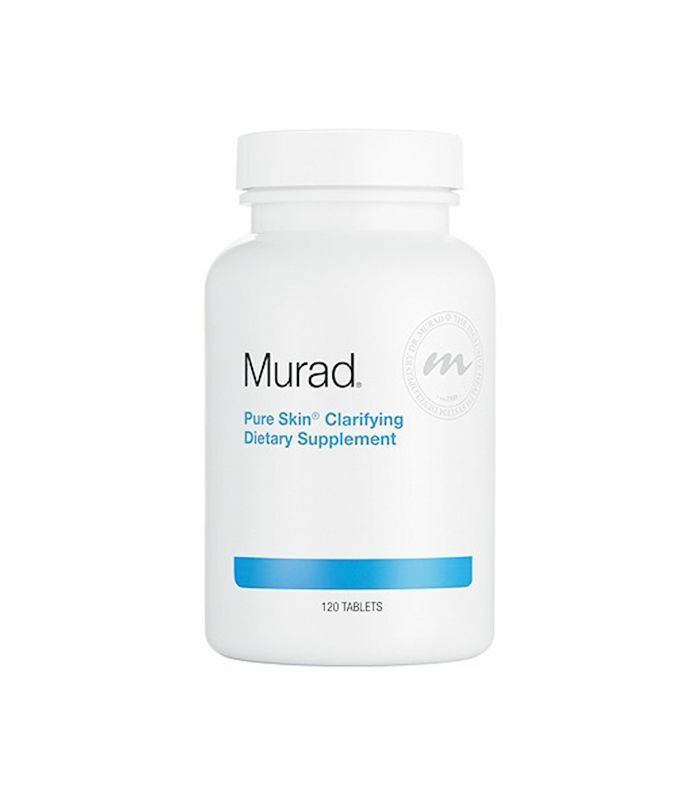 To ensure that you are following the correct natural treatment for acne, she recommends talking to a doctor before adding supplements to your diet. With that said, vitamins for acne can be extremely effective and are worth giving a try. For the natural acne remedies as told to us by dermatologists, keep on reading. Retinol, a vitamin A derivative, is commonly found in topical acne treatments, so it wasn't too surprising to hear that vitamin A supplements combat acne symptoms. According to Garshick, studies have shown that patients with more severe acne were found to have lower levels of vitamin A—which makes sense considering that the oral form of vitamin A, isotretinoin, decreases oil production. However, Garshick recommends consulting a doctor before taking vitamin A, as high levels can lead to nausea, vomiting, hair loss, dry skin, and birth defects. 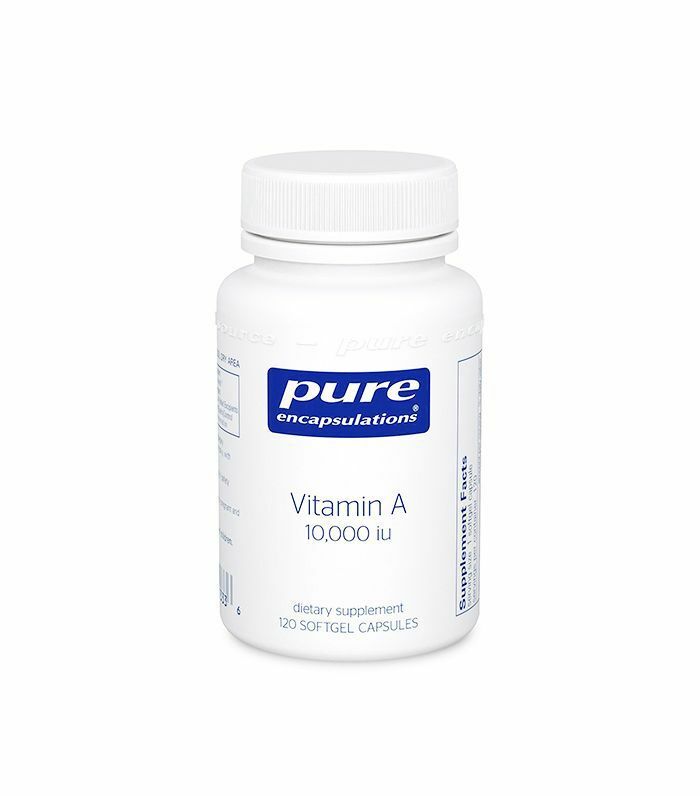 Furthermore, there are prescription versions of vitamin A that medical professionals can prescribe that might better suit your health. 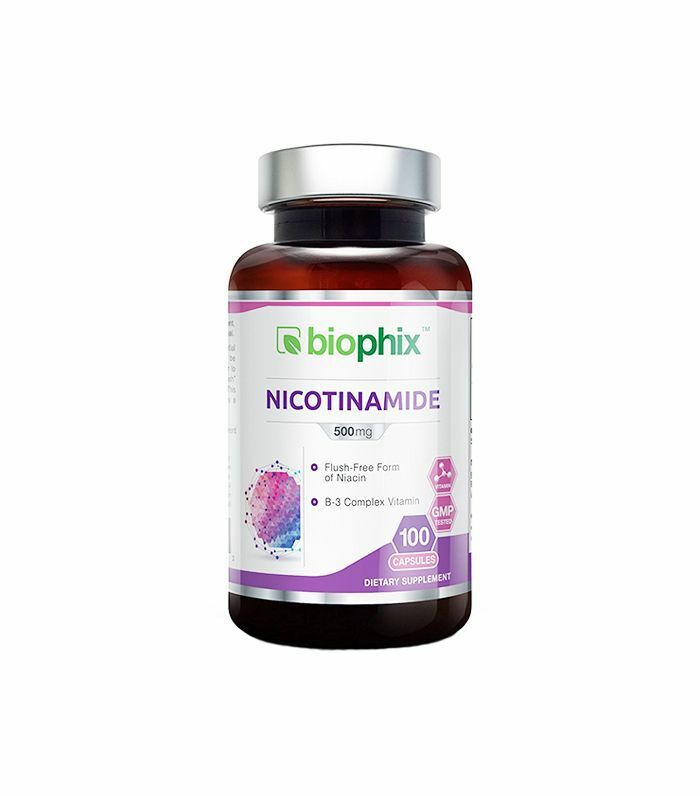 Both topical and oral supplements of nicotinamide, a form of vitamin B3, have been proven to reduce acne symptoms. In fact, Garshick says that one clinical trial found nicotinamide to be as effective as a topical antibiotic for acne. And while you can get nicotinamide in prescription forms, Garshick says it can also be found in plenty of over-the-counter lotions like EltaMD's PM Therapy Facial Moisturizer ($33), as it effectively reduces oil production and shine. 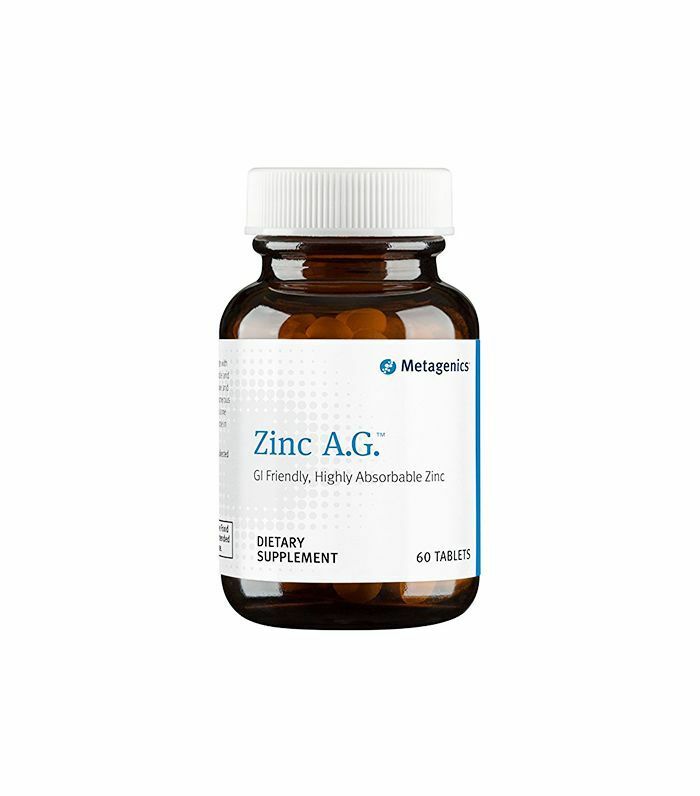 While it can take several weeks to see an improvement, Joshua Zeichner, MD, of Zeichner Dermatology says that the continuous supplementation of zinc can help to reduce signs of acne. How? According to Zeichner, it reduces the amount of acne-causing bacteria on the skin, decreases inflammation in the follicles, and possibly lowers oil production. And as for how much zinc you should take, Zeichner says to consult your doctor, although 200 mg is sufficient. He also notes that zinc supplements are relatively safe, although they have been known on rare occasions to cause an upset stomach or nausea. Some studies have shown an association between low levels of vitamin E and acne, says Garshick. However, she is quick to point out that there is not enough information to know if supplementing vitamin E actually treats acne. But since the vitamin has been proven to fight free-radical damage, which might contribute to acne, some people believe that vitamin E can help alleviate acne symptoms. So while vitamin E alone won't likely cure acne, it may have some acne-relieving benefits worth trying out. Next up: Read a very honest discussion about acne.